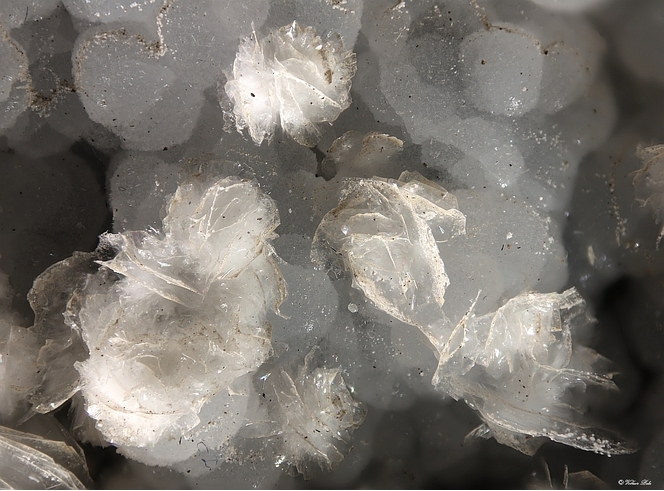 Gyrolite: Mineral information, data and localities. most gyrolite samples is Ca16Si24O60(OH)8. (14+x)H2O, with 0 < x < 3. Orlymanite Ca4Mn3Si8O20(OH)6 · 2H2O Hex. Okenite 164 photos of Gyrolite associated with Okenite on mindat.org. Prehnite 114 photos of Gyrolite associated with Prehnite on mindat.org. Calcite 95 photos of Gyrolite associated with Calcite on mindat.org. Quartz 63 photos of Gyrolite associated with Quartz on mindat.org. Apophyllite 63 photos of Gyrolite associated with Apophyllite on mindat.org. Hydroxyapophyllite-(K) 52 photos of Gyrolite associated with Hydroxyapophyllite-(K) on mindat.org. Laumontite 48 photos of Gyrolite associated with Laumontite on mindat.org. Fluorapophyllite-(K) 44 photos of Gyrolite associated with Fluorapophyllite-(K) on mindat.org. Chabazite 11 photos of Gyrolite associated with Chabazite on mindat.org. Natrolite 8 photos of Gyrolite associated with Natrolite on mindat.org. 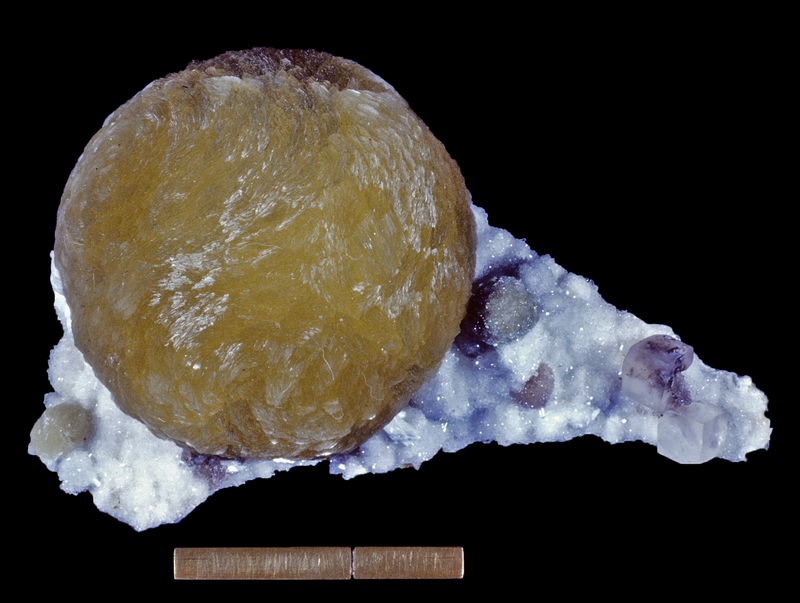 Anderson, T. (1851) Description and Analysis of Gyrolite, a New Mineral. Philos. Mag. Sect. IV, 1, 111-115. Currie, J. (1905) Note on some new localities for Gyrolite and Tobermorite. Mineralogical Magazine, 14, 93-95. Mackay, A. L., & Taylor, H. F. W. (1953) Gyrolite. Mineralogical Magazine, 30, 80-91. Mamedov, K.S. and Belov, N.V. (1958) Crystal structure of mica-like hydrous calcium silicates: okenite, nekoite, truscottite, and gyrolite New silicate radical [Si6O15]. Doklady Akademii Nauk SSSR: 121: 713-716. Cann, J. R. (1965) Gyrolite and reyerite from 'S Airde Beinn, northern Mull. Mineralogical Magazine, 35, 1-4. Gottardi, G., & Passaglia, E. (1966) Tobermorite "non espandibile" e gyrolite del Monte Biaena (Trento). Periodico di Mineralogia, 36, 1079-1083. Kobayashi, A., & Kawai, T. (1974) Gyrolite found in the andesitic tuffs, near the Sayama lake, Ueda city, Nagano Prefecture, Japan. Geosci. Mag., 25, 367-370. Garavelli, C. L., & Vurro, F. (1984) Gyrolite from Ortano (Island of Elba). Rendiconti della Società Italiana di Mineralogia e Petrologia, 39, 695-704. Merlino, S. (1988) Gyrolite: its crystal structure and crystal chemistry. Mineralogical Magazine, 52, 377-387. The following Gyrolite specimens are currently listed for sale on minfind.com. Mineralogical Record Vol 19, No.6 p389. Tschernich, R.(1992) Zeolites of the World, p.48. HOW, H. (1861) On Gyrolite Occurring with Calcite in Apophyllite in the Trap of the Bay of Fundy, American Journal of Science, Second Series, 32, 13-14. Tschernich, R. (1992): Zeolites of the World, p.143 Johnston, R. A. A., "A List of Canadian Mineral Occurrences", Memoir 74, Can. Dept. Mines, 1915. HOW, H., (1859) Description and Analysis of three New Minerals, Associates in the Trap of the Bay of Fundy, Edinburgh New Philosophical Journal, 9, 84-94. Merlino, S. (1988). 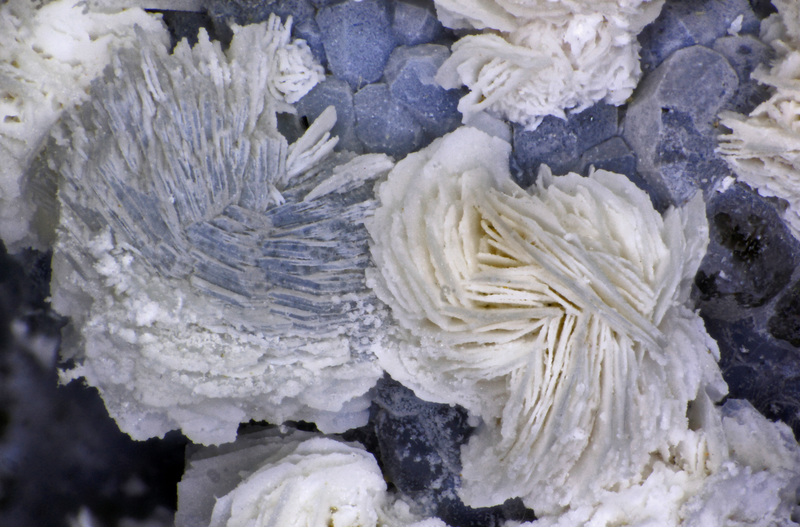 Gyrolite: its crystal structure and crystal chemistry. Mineralogical Magazine, 52, 377-387. Hentschel, G. (1978) Die Mineralien des Arensberges bei Zilsdorf, Eifel. Der Aufschluß 29, 219-227.; Doornveld, H.Y. (1987) Enkele mineraalvoorkomens in de Eifel. GEA, 20 (1), 32-36 (in Dutch). Larsen, K. E. (2018): Noen funn av mineraler i Norge 2017 - 2018. Norsk Mineralsymposium 2018: 105-114 (p. 108). ⓘ São Miguel Island ? Spiridonov, E.M., Gritsenko, Y.D., and Ponomarenko, A.I. (2008): Geology of Ore Deposits 50(8), 755-762. Anthony, J.W., et al (1995), Mineralogy of Arizona, 3rd.ed. : 242; Shannon, D.M. (1983b), Zeolites and associated minerals from Horseshoe Dam, AZ, Min.Rec. : 14: 115-117. Foshag, William Frederick (1924c), Centrallasite from Crestmore, California: American Mineralogist: 9: 88-90; Strunz, H. and Micheelsen, H. (1958) Calcum-phyllosilicate. Naturwissenschaften: 21: 515-516; Pemberton, H. Earl (1983), Minerals of California; Van Nostrand Reinholt Press: 477. Schaller, Waldemar Theodore (1905b), Mineralogical notes: USGS Bulletin 262: 124, 126; Schaller, Waldemar Theodore (1911a), Mineralogical notes, series 1: USGS Bulletin 490: 103; Pemberton, H. Earl (1983), Minerals of California; Van Nostrand Reinholt Press: 445, 447; www.missourigeologists.org/Min-Loc1-2005.pdf. Clarke, F.W. (1889), A new occurrence of gyrolite: USGS Bulletin 64: 22-23; […American Journal of Science, 3rd. series: 38: 128-129]: 22 (128-129); Bailey, Edgar H. & Donald L. Everhart (1964), Geology and quicksilver deposits of the New Almaden district, Santa Clara County, California: USGS PP 360: 102; Pemberton, H. Earl (1983), Minerals of California; Van Nostrand Reinholt Press: 478.